Our week away organised by All Africa Tours was a week to remember. It started by staying for two nights at Rosendal Wine Estate just outside Robertson. Rosendal is in a beautiful setting. The staff are professional but very friendly and you are met with a lovely glass of ice cold Sauvignon Blanc! The rooms are lovely with stunning views. The next day we were recommended to go to a Boutique Olive Oil farm about five minutes away called Marbrin. Clive (the farmer) was a great host. He was so informative and also had a great sense of humour. He didn’t rush the tour and you taste all his oils (the chilli oil was divine) and his balsamic vinegar was sublime. He also does olive tapenade and his father in law’s lemon-cello was stunning! 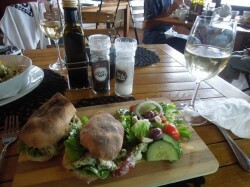 We visited Springfield wine farm and the lady was great friendly and helpful. We had a picnic lunch at Viljoensdrift which was overpriced and they had run out of white wine which is bizarre for a wine farm. The lunches at Van Loveren looked amazing. 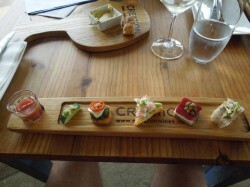 Also we can recommend the lunch at Excelsior wine farm which was really excellent . We visited Montague which is a lovely drive and walked around and visited the dried fruit factory which is fantastic and the prices are very good. From Robertson we went to Hermanus and stayed at 138 Marine Beachfront which had incredible views of the sea. Our room had possibly the best view being at the front of the property, however with the sea being literally just across the road a great view is guaranteed We went to Creation (in the Hemel and Aarde Valley) which is a must. We did the wine tasting with canapés which again was a fabulous experience and we can highly recommend as it is a very informative and educational (who knew that the glass can make such a difference). 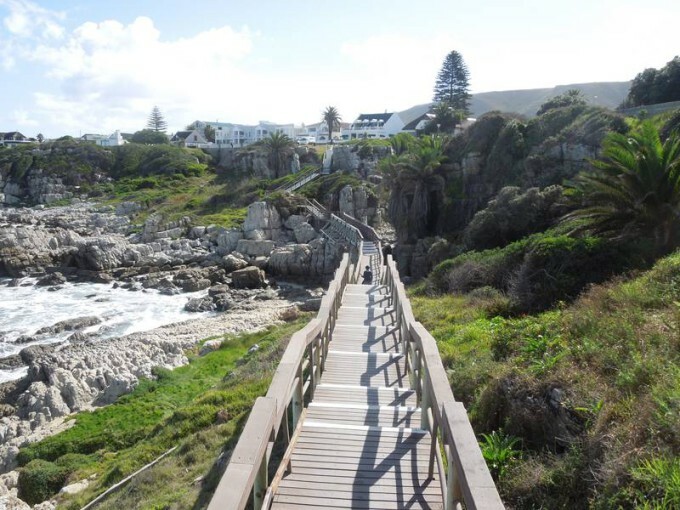 In Hermanus we went to Fernkloof Nature Reserve, did the cliff walk from Grotto Beach and did a bit of shopping! B’s Steakhouse at the start of the Hemel and Aarde Valley, gave us the best steak we have every had. Prior booking is essential. Burgundy Restaurant in Hermanus was also a wonderful experience especially for those who love seafood. My prawns were so good, I ordered more. All in all it was a great five days – thanks to Julie and Scott at All Africa Tours who recommended the accommodation and booked on our behalf. Their knowledge of the area was extremely good and the places they recommended were good choices.